Getting to know the characteristics of Sagittarius and their personality traits will give you a better idea of how these signs think and act and what causes them to do the things they do. 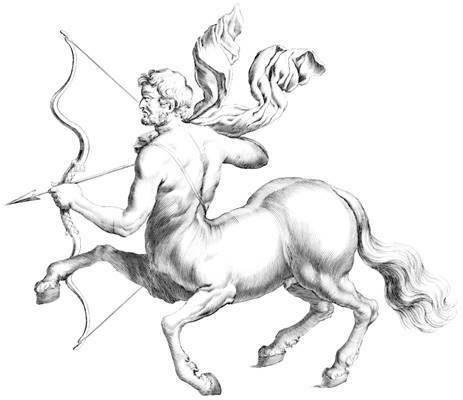 Born between November 23rd and December 21st, these signs are represented by ‘Centaur the Archer’, who symbolizes their desire to transform from basic instincts into something more intellectual who aims for a higher purpose. The Sagittarius profile is often described as playful, freedom loving, adventurous, knowledge seeking, and philosophical. Sagittarius signs tend to be very optimistic and positive. They always look on the bright side and for the good in any situation, no matter how horrible it may be. The Sagittarius is the type of person who will see something in ruins, and think, well, at least we can build something new now! Their optimism is often coupled with great ambition, and so if they set their minds to something, they can achieve it because the power of positive thinking is so strong for these individuals. As a fire sign, Sagittarius are very warm and friendly. They like to be social with others and can spark a conversation with just about anyone. Their bright outlook on life can often brighten a room and they don’t mind being one to “light the path” for others to learn more about what they do. The horse side of Sagittarius is often thought to be part of why they are often restless in nature and seem to be in a hurry for most of the time. They are constantly galloping onto new projects and activities, and they can sometimes be impatient when others fail to keep up the pace. Sagittarians often love the outdoors and athletic pursuits as well. They can make for excellent runners, though not all of them will feel naturally athletically inclined – this greatly depends on the environment in which they are born into. Those who are not physically active, however, would likely greatly benefit from getting into more physical activities, and they may just be surprised at how natural it is for them to get into a sport. In relationships, you can expect the Sagittarius to be honest and trustworthy. They tend to be playful and like to keep things interesting, so it’s important to always keep things exciting with a Sagittarius – they do not like boredom and routine. It is easy for the Sagittarius to feel restless in a lot of situations, and relationships are no different. Be prepared to have to stay on the go to keep this relationship together. Sagittarius has a very open mind, and is constantly exploring new possibilities and ideas. They are not overly judgmental and will like to hear your point of view, even if they disagree with it, because it may open them up to something they hadn’t considered before. They are possibility seekers. Sagittarians also need their freedom. They will not want to feel like they are tied down or being controlled, and so you will have to be understanding of their need to wander and explore. Sagittarius can sometimes be seen as irresponsible, since they are restless and often on the look out for something new – and the details of things that don’t interest them are easy to overlook. They can also sometimes be very impatient, making it difficult for them to start a project and finish it through. However, when they are determined to do something, they can make it happen. Have any thoughts to share on the characteristics of Sagittarius? Leave your thoughts in the comments section below!